I try to place a general overview of some kind at the top of each list in this series. I don't know of any comprehensive narrative survey of the entire region (that would be a big job, especially at this point), but this anthology has more than enough geographic and thematic range to serve as a useful introduction. If you go here, you can scroll down and view the table of contents. Of course, this book didn't mark the beginning of modern Civil War in Southern Appalachia studies, but I think it deserves credit for helping spark wider interest in the topic among both scholars and readers. 2. Clash of Loyalties: A Border County in the Civil War (2003) by John W. Shaffer. The next four books represent a north to south geographical swing through titles representative of the best modern scholarship of Southern Appalachia's Civil War. Shaffer's book is a microstudy of Barbour County, West Virginia, which is located in the northern part of the state, not too far from the Pennsylvania, Maryland, and Virginia borders. Its young men of fighting age joined the opposing armies in evenly split numbers, and patterns of deeply divided loyalties across every class and bitter internecine Civil War violence established here would continue down the spine of Southern Appalachia. (2006) by Brian D. McKnight. McKnight's book provides an in-depth perspective on the back and forth fighting over the strategically important mountain gaps separating SE Kentucky and SW Virginia, emphasizing the resources targeted by both sides and the suffering of civilians caught in the middle. The study also demonstrates the plastic nature of the local population's loyalties, their allegiance shifts an essential coping mechanism to off and on occupation by both sides and for dealing with threats to life and property from frequent battles, raids, and guerrilla action. (2000) by John C. Inscoe and Gordon B. McKinney. An across the board examination of the Civil War in western North Carolina (with chapters covering politics, loyalty, Unionism, guerrilla warfare, slavery, economics, women at war, and more) Inscoe and McKinney's book is rightly regarded as a new classic and model for other local and regional Appalachian Civil War studies to follow. Like the Noe and Wilson volume mentioned earlier, it has proven highly influential. Finally, Jonathan Sarris takes a closer look at two North Georgia counties straddling the Blue Ridge. As other scholars have discovered, Sarris finds that localism very often superseded ideological concerns and national, or even state, loyalties for many citizens living in the more isolated areas of the Confederacy. The inner war was the Civil War for a great many Fannin and Lumpkin county Georgians. Yes, I know I left out the part of Appalachia arguably best covered in the literature, East Tennessee, as a standalone entry (to compensate, it is pretty well covered in the essay collection) as well as some other regions associated with the terminal run of the Appalachian uplands stretching across the far northern parts of more Deep South states, but I'm limited to five books here! Later this summer, another volume in Darrell Collins's Civil War army reference series is scheduled to be released from McFarland. The books trace over time the composition, strength, and casualties of the principal eastern and western theater armies of both sides. Collins started it all with The Army of the Potomac: Order of Battle, 1861-1865, with Commanders, Strengths, Losses and More (2013), but the follow-on books [The Army of Northern Virginia: Organization, Strength, Casualties 1861-1865 (2015) and The Army of Tennessee: Organization, Strength, Casualties, 1862-1865 (2017)] to an even greater degree squeezed all they could out of the limited source material used (mostly the O.R.). Next up is The Army of the Cumberland: Organization, Strength, Casualties, 1862-1865 (August 2018), and if the established pattern holds true we should get an Army of the Tennessee treatment in a year or two. 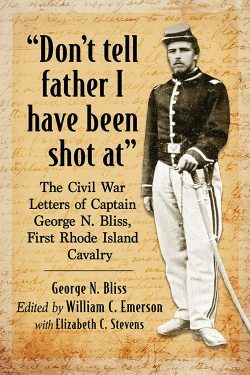 Booknotes: "Don't Tell Father I Have Been Shot at"
• "Don't Tell Father I Have Been Shot at": The Civil War Letters of Captain George N. Bliss, First Rhode Island Cavalry edited by William C. Emerson and Elizabeth C. Stevens (McFarland, 2018). "Don't Tell Father I Have Been Shot at" compiles the Civil War letters and newspaper dispatches (to the Providence Evening Press under the pseudonym "Ulysses") of Captain George N. Bliss of the First Rhode Island Cavalry. Bliss "survived some 27 actions during the Civil War. Midway through the war, he served nine months at a conscript training camp in Connecticut, where he sat on several courts-martial. In September 1864, in a skirmish at Waynesboro, Virginia, he single-handedly charged into the 4th Virginia "Black Horse" Cavalry. Badly injured and taken prisoner, he was consigned to the notorious Libby Prison in Richmond." A very frequent correspondent with close friend and Union College mate David Gerald, and also a fairly voluminous writer, Bliss amassed for posterity a very large collection of detailed firsthand war experiences. Certainly anyone interested in eastern theater Union cavalry operations and the 1st RI Cavalry in particular will want to grab a copy. For most of the war the regiment was attached to the Army of the Potomac, splitting its time in active service between the Washington defenses and fighting in numerous campaigns and battles across central and northern Virginia. Though his luck would run out at Waynesboro, Bliss was one of the few members of the regiment to escape the Middleburg disaster on June 17, 1863, even finding the time to write a letter during his escape through the mountains. Bliss was paroled in February 1865 from Libby Prison after four months of captivity and spent most of the brief remaining balance of the war in an Annapolis, Maryland parole camp. The letters begin in March 1862 and end in May 1865. In addition to dozens of photographs, editors Emerson and Stevens contribute a general introduction, chapter introductions, a postwar biographical epilogue, and explanatory endnotes. 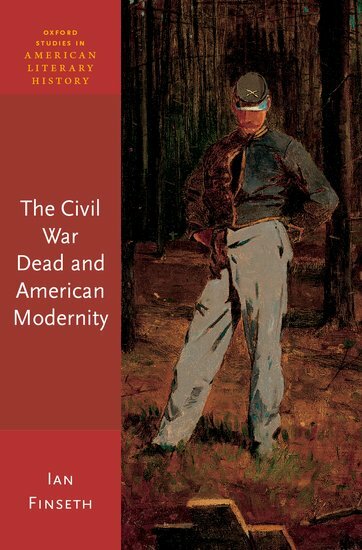 • The Civil War Dead and American Modernity by Ian Finseth (Oxford UP, 2018). Ian Finseth's The Civil War Dead and American Modernity "offers a fundamental rethinking of the cultural importance of the American Civil War dead. Tracing their representational afterlife across a massive array of historical, visual, and literary documents from 1861 to 1914, Ian Finseth maintains that the war dead played a central, complex, and paradoxical role in how Americans experienced and understood the modernization of the United States." Through analysis of "eyewitness accounts of battle to photographs and paintings, and from full-dress histories of the war to fictional narratives," Finseth attempts of show that the Civil War dead were embedded in American culture in so many different ways that we "require an expanded range of interpretive strategies to understand" them. Finseth argues that the Civil War dead "came to form a kind of symbolic currency that informed Americans' melancholic relationship to their own past," but also "provided an illusion of coherence, intelligibility, and continuity in the national self" during the postwar period's often bewildering pace of societal growth and transformation. As is often the case when seeking meaning in the past, in the minds of many the war dead represented the "loss of a simpler world." More from the description: "Reconstructing the formal, rhetorical, and ideological strategies by which postwar American society reimagined, and continues to reimagine, the Civil War dead, Finseth also shows that a strain of critical thought was alert to this dynamic from the very years of the war itself. The Civil War Dead and American Modernity is at once a study of the politics of mortality, the disintegration of American Victorianism, and the role of visual and literary art in both forming and undermining social consensus." 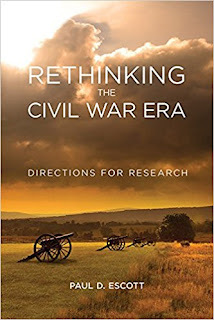 Review of Escott - "RETHINKING THE CIVIL WAR ERA: Directions for Research"
On the twentieth anniversary of the publication of James McPherson and William Cooper's Writing the Civil War: The Quest to Understand, Paul Escott's Rethinking the Civil War Era: Directions for Research offers an updated assessment of the state of the field and suggests new avenues of scholarly inquiry. Unlike McPherson and Cooper, who solicited ideas and contributions from twelve other academic colleagues, Escott relies on his own counsel, which makes the book's format consistent but naturally limits scope and perspective. Rethinking the Civil War Era reads like a long form bibliographical essay. Rather than attempting to identify, categorize, and comment upon the full range of major scholarly publications underpinning particular themes, Escott instead elects to use the limited space available to evaluate on a deeper level just one or two representative works. After assessing their impact, Escott then offers his own suggestions for filling in existing gaps while also recommending potentially fruitful redirections or new branches of investigation altogether. By its very nature, the ruthlessly selective method employed by Escott leaves out mention of many great current scholars whose work is of equal value (and he duly apologizes for it), but the space freed up for more thoughtful discourse compensates for those omissions in a generally satisfactory manner. Clearly, any truly exhaustive overview of the current state of a field of study as massive and far reaching as Civil War history would fill many volumes. Scarcely more than 200 pages in length, this attempt is subject to tight constraints, most unavoidable. It's obvious that no single person can come close to mastering the entire breadth of Civil War scholarship. Escott freely admits to his own particular knowledge gaps (ex. military history), but he does make a game attempt in the book to have something interesting to say about those areas beyond his own academic experience, interests, and acquired expertise. The book is organized into seven broad themes: the Civil War's root causes, society & war, African-Americans, military history, developments in modern information technology, environmental history, and consequences. For our purposes, rather than addressing them all, perhaps a look at the information technology chapter can suffice as a sample view of Escott's approach. While noting widespread discomfort among humanities practitioners with advanced statistics and high-level quantitative tools, it is gratifying to learn that the author has a high opinion of the possibilities inherent in modern information and graphics technologies beyond simply digitizing documents and assembling databases (not that the importance of those should be minimized in any way). In the chapter, Escott discusses some ambitious longitudinal studies underway, underscoring the value of highly promising current work in mapping human actions and behaviors using layered geospatial data and spatiotemporal mapping software techniques. He specifically cites the fascinating work of Andrew Fialka (unfortunately presented as Failka throughout) and the insights it has already produced in our evolving understanding of guerrilla warfare in Missouri*. Recognizing the importance of visual learning, the author appreciates the usefulness of sophisticated animated maps of all kinds to vividly illustrate changes over time and even make new discoveries not discernible, or at least not easily perceptible, through the use of more traditional means of document research. The innovation possibilities are endless. For the future, Escott suggests the need for even more cooperation and data sharing; voluntary standardization of both databases and software tools (pipe dreams as those might be); the creation of a registry of digital humanities programs and projects; a central repository or repositories for scanned documents, databases, and digital projects; accelerated digitization; development of more open source software; and increased funding—all laudable goals. Rethinking the Civil War Era is not primarily aimed at the general reading audience, but serious enthusiasts will surely find some topics to pursue that they might not have previously considered. The volume should prove quite useful for graduate students seeking thesis and dissertation topics, and certainly Escott's established colleagues could also benefit from his research suggestions. * - See Fialka's chapter in The Civil War Guerrilla: Unfolding the Black Flag in History, Memory, and Myth (2015). For quite a while now, I've been following the progress of Gene Armistead and Robert Arconti's biography of California Confederate Dan Showalter through Arconti's blog. Any new project connected to the Civil War in the Far West sparks my interest, so this one is right up my alley. Frustrated with their book being in university press development limbo for two years with no end in sight, the authors took the manuscript to McFarland, which is publishing it later this year under the title "An Arch Rebel Like Myself": Dan Showalter and the Civil War in California and Texas (October 2018). Here's the brief description: "Dan Showalter, a Pennsylvanian transplant to the Yosemite Valley, was Speaker Pro Tem of the California State Assembly at the outbreak of the Civil War and the exemplar of treason in the Far West among the pro-Union press. He gained notoriety as the survivor of California's last political duel, for his role in the display of a Confederate flag in Sacramento, and for his imprisonment after an armed confrontation with Union troops. Escaping to Texas, he distinguished himself in the Confederate service in naval battles and in pursuit of Comanche raiders. As commander the 4th Arizona Cavalry, he helped recapture the Rio Grande Valley from the Union and defended Brownsville against a combined Union and Mexican force. Refusing to surrender at war's end, he fled to Mexico where he died of a wound sustained in a drunken bar fight at age 35." We all know how the blurb game works, but it's something that the dean of Civil War in the Southwest historians, Jerry Thompson, has given the book a ringing endorsement. I'm looking forward to reading it. "The personal diary—wildly ragged yet rooted in day following day—was one place Americans wrote their war. Diaries, then, have become one of the best-known, most-used sources for exploring the life of the mind in a war-torn place and time. Delving into several familiar wartime diaries kept by women of the southern slave-owning class, Steven Stowe recaptures their motivations to keep the days close even as war tore apart the brutal system of slavery that had benefited them. Whether the diarists recorded thoughts about themselves, their opinions about men, or their observations about slavery, race, and warfare, Stowe shows how these women, by writing the immediate moment, found meaning in a changing world." 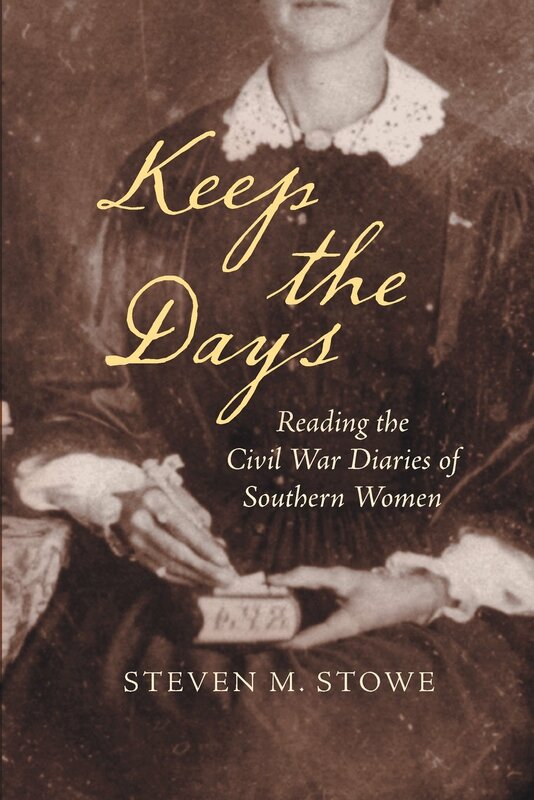 Steven Stowe's Keep the Days: Reading the Civil War Diaries of Southern Women studies "the inner lives of these unsympathetic (!) characters, Stowe also explores the importance—and the limits—of historical empathy as a condition for knowing the past, demonstrating how these plain, first-draft texts can offer new ways to make sense of the world in which these Confederate women lived." Twenty published diarists—some household names to Civil War readers (among them Mary Chestnut, Kate Stone, Emma Holmes, and Sarah Morgan to name a few) and others like Pauline DeCaradeuc, Anna Maria Green, and Emma LeConte less well known—go under the book's microscope, which generally focuses on the last half of the war when the worlds of these women collapsed and were destroyed. "Chapter 1 is about the diaries as they are today ... In Chapter 2 the focus shifts from reading diaries to the women that wrote them ... Chapters 3, 4, and 5 take up themes women found inexhaustible in fashioning the war into their war: violence, men, and slavery ... Chapter 6 is about the diarist as she saw herself." The volume concludes with an appendix that serves as a general guide to the diaries and diarists. Author Q&A - Kenneth Lyftogt on "Iowa and the Civil War, Volume 1"
Last week, I mentioned (here) the recent publication of Kenneth L. Lyftogt's Iowa and the Civil War, Volume 1: Free Child of the Missouri Compromise 1850-1862 (for more information, go to Camp Pope Publishing). The author of three other Iowa-related Civil War books, Lyftogt recently retired from the University of Northern Iowa (where he lectured in history), and he's agreed to answer a few questions about his latest project. DW: Your publisher mentioned that a single volume was originally envisioned for your work but the project since expanded to a planned trilogy. Can you discuss your intentions regarding the breadth and scope of Iowa and the Civil War? KL: The breadth and scope of the trilogy involves two totally intertwined subjects, politics and the military. I attempt to explain that Civil War officers were also politicians, local community leaders who raised companies and regiments. They were ambitious men who knew that their military ranks would stay with them for the rest of their careers, and each sought recognition and promotion. Many were active politicians who wanted military bona fides that would advance their political careers. The story of every officer is the story of his battlefield performance linked to his political support. Each had political drum beaters in both the state and national governments that were critical to their careers. The books detail almost every major battle and campaign in which Iowa troops were engaged. The battles are examined on the regimental level. For example, by April 1862 and the Battle of Shiloh Iowa had fifteen regiments in the field. Eleven of them fought at Shiloh, and the battle is explained by following each of the Iowa regiments. The regimental focus is used for every battle. DW: Achieving statehood in 1846, Iowa was a relative newcomer to the national scene when sectional conflict reached a crisis point. How would you describe the state’s political situation/party alignment on the eve of the 1860 election? KL: By 1860 Iowa had completed its transition from a Democratic, Southern-leaning state to a Republican stronghold. The process by which this happened is a major focus of Volume 1. DW: Actively employed in the relative isolation of the Trans-Mississippi West, Iowa’s Samuel Kirkwood is probably not among the most well-known and celebrated Union war governors. How effective was he in rallying the populace to the colors and managing the huge task of mobilizing the resources of the state for war? KL: Governor Samuel J. Kirkwood was a fine war governor. He successfully mobilized Iowa's Republicans in support of the war while doing quite well in working with Iowa's War Democrats and cowing Iowa's Peace Democrats. His successor war governor, Colonel William M. Stone, elected in 1863, continued Kirkwood's policies until the war's end. DW: During the Civil War period, Iowa was a vibrant force with nascent ambitions but still very much a frontier state. While one might consider fighting Confederates an all-consuming affair, Iowans undoubtedly had other growth and security concerns that manifested during the war years. Could you discuss some of the most important ones? KL: Iowa's other great security concerns were Indian troubles on the Western border (the New Ulm massacres in Minnesota in 1862, for example) and Rebel raids from Missouri. Governors Kirkwood and Stone raised regiments to guard both borders. The other great security concern was internal rebellion in support of the South. Governor Kirkwood personally took charge of the suppression of the so-called Tally War of August 1863. When Governor Stone became convinced that Missouri Rebels working with Iowans presented a danger he mobilized local militias to defend southern Iowa. DW: A previous publication of yours might give away your answer, but I’ll ask anyway. Do you have a favorite Iowa Civil War general (and why)? KL: My favorite Civil War general is, obviously, Matthew Mark Trumbull, Iowa's only English-born general. Trumbull represents a unique part of Iowa's Republican constituency, immigrants who deeply resented old Europe's system of royal, aristocratic rule. These immigrants looked at the Southern Confederacy as merely a transplanted form of European feudalism that was totally at odds with America's democratic promise. Of course favorite generals are not confined to either the blue or the gray. Nathan Bedford Forrest, the Wizard of the Saddle, is the great Southern general. In my three volumes the reader watches Forrest from his beginnings as a cavalry colonel to becoming a major adversary. Iowa troops did battle with Forrest till the end of the war. DW: What about non-military Civil War Iowa figure? KL: Iowa's women became the great civilian figures in the war. The best known is Keokuk's Annie T. Wittenmyer, who founded local aid societies and traveled extensively to get needed supplies to Iowa soldiers. My favorite is Caroline Kasson, wife of John Kasson of Des Moines, who was President Lincoln's Assistant Postmaster General and later an Iowa congressman. Caroline Kasson spent the war in Washington D.C. and wrote letters home to the Des Moines Daily Register through the war years that gave Iowans a unique perspective on what was happening in far off Washington. Her letters, under the pen name of "Miriam," give all three of these volumes a wonderful female voice that addresses the great issues of the war. DW: Volume 1 covers the early war period through Shiloh. Do you believe that Iowa’s military contributions in Missouri during 1861-62 get the credit they deserve for helping secure that state for the Union (a vital first step before any general advance into the Confederate heartland could proceed)? KL: Does Iowa get the credit it deserves for securing Missouri? Probably not. Missouri was the terrible backwater of the war and is too often ignored or at least not well represented in Civil War studies. Two-thirds of non-Missouri Unionists who fought there were from Iowa, with Iowa generals Samuel Curtis and Grenville Dodge as key figures. DW: Iowa regiments forged an enviable combat reputation in the West and in the Trans-Mississippi. Did the Hornet’s Nest surrender at Shiloh, which caught up a great many Iowans in its net, adversely affect how the state’s troops were viewed by others for a time (grossly unfair as that would have been)? KL: Did the surrender of Iowa troops from the Shiloh Hornet's Nest adversely affect how Iowa troops were viewed by others? I've never seen any evidence of this. Most recognized that the Hornet's Nest fighters stopped the Confederate advance long enough to prevent a Rebel victory. Iowa's James M. Tuttle commanded the 1st Brigade, 2nd Division at the Hornet's Nest, and rose to command the 2nd Division when General W. H. L. Wallace was killed. I've never seen anything that suggested that he did not deserve the command or the promotion. DW: Thank you for your time. I look forward to reading Free Child of the Missouri Compromise 1850-1862 and the volumes that will follow. • Rethinking America: From Empire to Republic by John M. Murrin (Oxford UP, 2018). 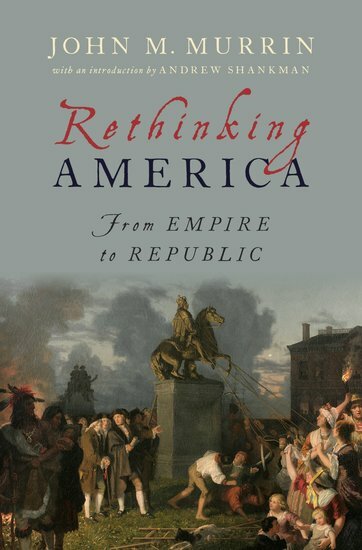 John Murrin is a Princeton history professor and early America scholar, and his book Rethinking America: From Empire to Republic "brings together his seminal essays on the American Revolution, the United States Constitution, and the early American Republic. Collectively, they rethink fundamental questions regarding American identity, the decision to declare independence in 1776, and the impact the American Revolution had on the nation it produced." Consisting of eleven essays in three sections [An Overview, Toward Revolution, and Defining The Republic] and with an introduction by Andrew Shankman, the book "argues that high politics and the study of constitutional and ideological questions--broadly the history of elites--must be considered in close conjunction with issues of economic inequality, class conflict, and racial division. Bringing together different schools of history and a variety of perspectives on both Britain and the North American colonies, it explains why what began as a constitutional argument, that virtually all expected would remain contained within the British Empire, exploded into a truly subversive and radical revolution that destroyed monarchy and aristocracy and replaced them with a rapidly transforming and chaotic republic." Some of the chapters also engage in counterfactual analysis. More from the description: "This volume examines the period of the early American Republic and discusses why the Founders' assumptions about what their Revolution would produce were profoundly different than the society that emerged from the American Revolution. In many ways, Rethinking America suggests that the outcome of the American Revolution put the new United States on a path to a violent and bloody civil war." That the seeds of Civil War were planted in the Early Republic period is a common observation, and certainly Civil War related questions are what concern us most here at CWBA. Murrin's final essay ("War, Revolution, and Nation-Making: The American Revolution versus the Civil War") is a selective comparative analysis of the two American civil wars and an incisive critique of notable modern scholars and their scholarship. As its title suggests, the piece is largely focused on questions surrounding nationalism. 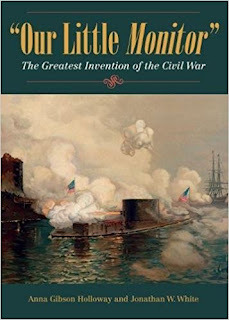 It's well worth a look by Civil War readers, full of lively and strong opinions that you may or may not agree with. by Kenneth L. Lyftogt (Camp Pope Publishing, 2018). My Civil War fandom of all things Iowa took a major hit after Nebraska joined the Big Ten and went 3-4 against the Hawkeyes with a bunch of lopsided losses most recently. However, professionalism requires that I put aside such partisan animus and admit that I am very much looking forward to reading Kenneth Lyftogt's big project aimed at exploring the full history of Iowa's Civil War. "Free Child of the Missouri Compromise is volume one of a three-volume, comprehensive history of Iowa’s role in the Civil War, the first to be published in 130 years. It begins with the events and issues that led up to the war and ends with the decisive Battle of Shiloh in April of 1862." I would say that an update is long overdue. Early chapters cover the statehood period, Iowa's place as a transit point for escaped slaves, the rise of Republican politicians in the state, and the 1860 election. Prominent political and military figures are profiled, as are the initial recruitment drives. The latter half of the book recounts campaigns and battles involving Iowa troops, among these Missouri battles at Athens, Wilson's Creek, Blue Mills Landing, Belmont, and New Madrid; Pea Ridge in Arkansas; and Fort Donelson and Shiloh in Tennessee. Large numbers of Iowa soldiers were captured at Shiloh, and the volume concludes with an overview of their odyssey in Confederate captivity. The maps look great, and any book that uses an Andy Thomas painting for the cover art has already scored points with me. The author of Left for Dixie: The Civil War Diary of John Rath (1991), From Blue Mills to Columbia: Cedar Falls and the Civil War (1993), and Iowa's Forgotten General: Matthew Mark Trumbull and the Civil War (2007), Lyftogt is not new to the study of Civil War Iowa. Of the three, I've only read the slim Trumbull volume and liked it quite a bit. I'm also putting together an interview with the author, so look for a Q&A in the near future. 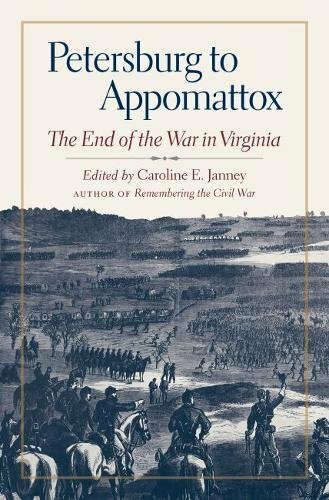 • Petersburg to Appomattox: The End of the War in Virginia edited by Caroline E. Janney (UNC Press, 2018). Petersburg to Appomattox: The End of the War in Virginia has nine essays. Together, they "offer a fresh and nuanced view of the eastern war's closing chapter. Assessing events from the siege of Petersburg to the immediate aftermath of Lee's surrender, Petersburg to Appomattox blends military, social, cultural, and political history to reassess the ways in which the war ended and examines anew the meanings attached to one of the Civil War's most significant sites, Appomattox." William Bergen starts things off with another look at Grant's successful command style as it transitioned to the East, where a new set of political, personal, and battlefield challenges would need to be overcome. The product of in-depth research into the experiences and lives of both fighting front and home front Texans, Susannah Ural's chapter attempts to explain why the Texas soldiers in the Army of Northern Virginia remained so "fiercely committed" to the service. Peter Carmichael's reassessment of the Battle of Five Forks reassigns some of the blame from Fitz Lee and Pickett to Robert E. Lee, whose "loss of operational control of the right flank coupled with his poorly worded orders" contributed to the defeat. Wayne Wei-Siang Hsieh’s essay discusses the performance of the Union cavalry in the final campaign, crediting Philip Sheridan's effective coordination of infantry and cavalry on the offensive as the acme moment of the eastern mounted arm. William C. Davis reminds readers that Appomattox was just one of many possible outcomes. Keith Bohannon next tells the story of the loss or destruction of so much of the Confederate records during the chaos of the first week of April 1865, lamenting how much it still limits our understanding of the final moments of the war. 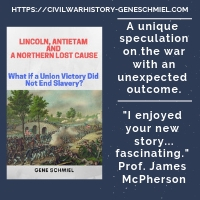 Janney's own contribution focuses on the absentee Army of Northern Virginia soldiers that did not surrender with their comrades at Appomattox, those men either making their way home without formally surrendering or later turning themselves in elsewhere to Union authorities. Stephen Cushman finds much to consider in Sheridan's memoirs. In Cushman's opinion, Sheridan's memoir displays noteworthy literary style and merit that distinguish it from Grant and Sherman's. It also offers key insights into explaining the general's actions during the Appomattox Campaign. Elizabeth Varon's concluding chapter shows how slaves viewed Appomattox as the symbolic beginning of freedom and perhaps also "the promise of racial reconciliation between whites and blacks." Only a pair of new volumes are planned before the series is wrapped up for good, both covering ground previously skipped over— the two Bull Runs. I'm particularly interested in the First Manassas collection, so hopefully the books will be released in order. Most Civil War readers know that Arkansas was one of the more conflicted states on secession and that the northern part of the state had the highest concentration of dissenters. The great majority of white volunteers for Union Arkansas regiments would later come from this region. Before it was suppressed by local citizens and authorities in late 1861, the Arkansas Peace Society, a conglomeration of like-minded groups, was the most vocal anti-Confederate organization in the state. Arrested members were often given the choice of trial and imprisonment or joining the Confederate Army. Predictably, those that went the latter route very often availed themselves of the first opportunity to desert and enlist in units like the First Arkansas Cavalry (Union). There have been journal articles written about the society and parts of books have been devoted to it, but, to this date, no full-length study of the Peace Society has been published. The Butler Center for Arkansas Studies and author James J. Johnston aim to rectify this soon with Mountain Feds: Arkansas Unionists and the Peace Society (September 2018). Unfortunately, I can't find any more information about it. The publisher doesn't have a page up for it on their website yet, and it missed making the current catalog from the distributor, University of Arkansas Press. Review of Hardy - "KIRK'S CIVIL WAR RAIDS ALONG THE BLUE RIDGE"
Increased popular and scholarly interest in anti-Confederate southerners and in the guerrilla conflict that plagued much of the southern home front has led to numerous fine books and articles documenting Southern Appalachia's devastating "inner war." 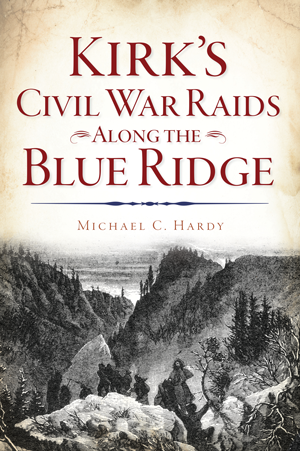 A very informative addition to this growing literature, Michael Hardy's Kirk's Civil War Raids Along the Blue Ridge scrutinizes one of the most hotly contested stretches of the Appalachian uplands. As Hardy shows, the citizens of twelve counties straddling the Blue Ridge interstate border—North Carolina's Watauga, Ashe, Mitchell, Yancey, Madison, and Haywood counties and the Tennessee counties of Johnson, Carter, Washington, Greene, Cocke, and Sevier—experienced levels of violence and societal chaos rivaling those found in any of the conflict's most bitterly contested regions (including the worst parts of Missouri). With neither side willing or able to devote the kind of manpower needed to maintain civil order, bushwhacking and raiding became so pervasive that all lines of demarcation between fighting and home fronts rapidly dissolved in the mountain counties of Southern Appalachia. The individual referenced in the book's title, Tennessee-born Union officer George W. Kirk, would eventually become one of the region's most infamous actors by the war's midpoint, but, according to the author, evidence of his early war activities remains scarce. Hardy fills this gap with an excellent description of the developing wartime conditions that would eventually cause a man of Kirk's boldness and brutality to come to the fore. This is a key part of the study's grander ambitions. Much more than just a history of Kirk and his exploits, Hardy's book offers a wide-ranging exploration of the war experience within the prescribed twelve-county area. As was the case in many other parts of the Upper and Border South, an uneasy peace existed among the divided elements of Appalachian citizenry early on, but, as Hardy shows, several events shattered the relative calm and sparked a cycle of violence that continued through Reconstruction and beyond. Union recruitment campaigns in East Tennessee combined with the bridge burnings of November 1861 prompted a Confederate crackdown on dissent. Later, the Conscription Act enacted by the Confederate government in 1862 led even more pro-Union men from both states (who might otherwise have remained neutral) to join local guerrilla bands, form home guard units, or enroll in federal regiments. These developments prompted even more frequent incursions by Confederate army detachments and state militia, the military presence doing very little to impose and maintain order but much to spark further resistance. During the latter half of the war, the introduction of more and more regular forces into the border region, most notably General Burnside's invasion and occupation of East Tennessee and General Longstreet's lengthy but failed campaign to wrest back control of the region, intensified the violence. The armies also served to support and legitimize numerous irregular bands whose depredations and crimes would be largely overlooked for the sake of the benefits derived from their scouting and raiding. Throughout the area, guerrillas and home guards routinely killed civilians suspected of supporting the other side and plundered indiscriminately. Appreciating this backdrop, which is well presented it the book, is essential to understanding George Kirk's actions and motivations. Kirk served as an officer in a series of federal Tennessee and North Carolina volunteer regiments, but achieved his highest rank very late in the war when he was appointed commander of the Third North Carolina Mounted Infantry. Hardy's study documents well the many 1863-64 raids Kirk led from his Tennessee bases into western North Carolina, including his 1864 capture by ruse of Camp Vance in Morganton (perhaps his most celebrated exploit). Kirk and his men continued operating deep behind enemy lines through the end of the war, most significantly in support of Stoneman's 1865 Raid. Even though Kirk's commands would be guilty of all the excesses of robbery and murder that would generally stain the reputations of the irregular combatants of Southern Appalachia, Kirk himself escaped official censure and was widely praised by his superiors. As a whole, the literature devotes much more attention to issues of broader national reunion than it does to reunion at the more local levels. Hardy's study delves into the topic at some length, demonstrating how hard shared Civil War animosities died in the border counties. Along the Blue Ridge, many rural neighbors not only refused to reconcile but continued to use the threat of violence against wartime opponents. Long after the Civil War ended, intimidated former combatants of all classes were still abandoning homes and businesses in the interests of their own safety. Before the arrival of Kirk's Civil War Raids Along the Blue Ridge, only Matt Bumgarner's Kirk's Raiders (2000) explored similar topics in book form, so Hardy's work is a very welcome contribution. In addition to providing a useful evenhanded assessment of George Kirk's notorious Civil War career, Hardy's book is highly recommended as a first-line option for anyone wanting to obtain a more general understanding of the people and events that turned the shared border between Tennessee and North Carolina into one of the war's most dangerous backwater fronts. 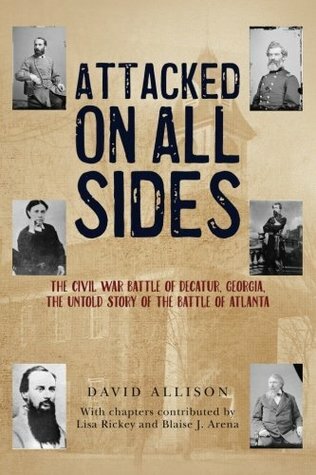 • Attacked On All Sides: The Civil War Battle of Decatur, Georgia, the Untold Story of the Battle of Atlanta by David Allison (CreateSpace-Author, 2018). The July 22, 1864 Battle of Decatur (not to be confused with the late October 1864 Battle of Decatur, which was really more of a slight demonstration, over in Alabama) was part of the larger Confederate attack that came to be known as the Battle of Atlanta. Sweeping deep into the Union left rear in loose concert with General Hardee's infantry corps off to the west, a large detachment of Wheeler's cavalry was ordered to attack the Army of the Tennessee's wagon train then concentrated at Decatur. Wheeler's dismounted troopers drove the train guards, a brigade of infantry, through the town but failed to capture or destroy the wagons en masse before breaking off the attack. The full story of this action is the subject of David Allison's self-published study Attacked On All Sides: The Civil War Battle of Decatur, Georgia, the Untold Story of the Battle of Atlanta. The first half of the book recounts at length the lead up to the clash, the fighting in Decatur (with no accompanying battle map...grr), and the aftermath. Lengthy biographical features of three soldiers that participated in the Decatur battle (where two were killed) make up a large part of the volume's second half, with additional discussions of the post-Decatur lives of many others involved in the event. From the description: "Other participants in the Battle of Decatur went on to lead notable post-war lives and to become nationally prominent figures who shaped late 19th century American political, business and military events. Among the Federals, Colonel (later General) John W. Sprague, who commanded the Federal forces during the battle, later helped settle the American northwest as a founder of the city of Tacoma, Washington. Jeremiah Rusk, second in command of one of the Federal regiments in the battle, later became governor of Wisconsin and the first-ever U.S. secretary of agriculture. That regiment’s commanding officer, Milton Montgomery, founded what’s now the oldest law firm in Omaha, Nebraska. Other participants became members of Congress or state politicians. One became a close business associate of the great steel magnate Andrew Carnegie. Among the Confederates, General Joseph Wheeler after the war helped to reconcile the North and South as a member of Congress and played a role in one of the U.S. Army’s first overseas invasions in Cuba. Decatur resident Mary A.H. Gay, who was in the town at the time of the battle, later wrote a book based on what she saw that inspired Margaret Mitchell’s creation of the character Scarlett O’Hara in “Gone With The Wind,” one of the top-selling novels of all time." There's no bibliography, but a quick browse through the endnotes gives the impression that the study is the product of serious research into a wide array of sources. I haven't read any of it yet but am intrigued enough to put the book in the to-do stack. • A Crooked River: Rustlers, Rangers, and Regulars on the Lower Rio Grande, 1861–1877 by Michael L. Collins (Univ of Okla Press, 2018). 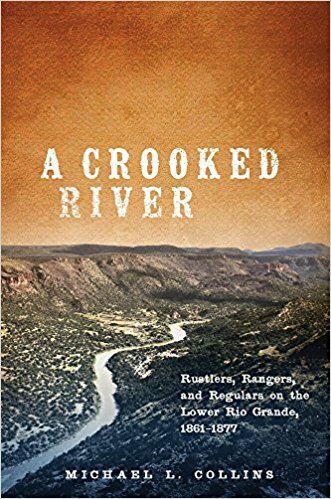 Michael Collins's A Crooked River: Rustlers, Rangers, and Regulars on the Lower Rio Grande, 1861–1877 is his follow up to Texas Devils: Rangers and Regulars on the Lower Rio Grande, 1846-1861 (2008), both from University of Oklahoma Press. "During the turbulent years of the Civil War and Reconstruction, a squall of violence and lawlessness swept through the Nueces Strip and the Rio Grande Valley in southern Texas. Cattle rustlers, regular troops, and Texas Rangers, as well as Civil War deserters and other characters of questionable reputation, clashed with Mexicans, Germans, and Indians over unionism, race, livestock, land, and national sovereignty, among other issues. In A Crooked River, Michael L. Collins presents a rousing narrative of these events that reflects perspectives of people on both sides of the Rio Grande." Much like Andrew Masich successfully did in his strikingly good Civil War in the Southwest Borderlands, 1861–1867 (though with a much narrower geographical focus and over a more extended time period), Collins "brings a cross-cultural perspective to the role of the Texas Rangers in the continuing strife along the border during the late nineteenth century. He draws on many rare and obscure sources to chronicle the incidents of the period, bringing unprecedented depth and detail to such episodes as the “skinning wars,” the raids on El Remolino and Las Cuevas, and the attack on Nuecestown. Along the way, he dispels many entrenched legends of Texas history—in particular, the long-held belief that almost all of the era’s cattle thieves were Mexican." "A balanced and thorough reevaluation, A Crooked River adds a new dimension to the history of the racial and cultural conflict that defined the border region and that still echoes today." If you're like me and most particularly interested in the Civil War years, it looks like something less than a third of the narrative is explicitly devoted to that part of the period covered in the book. To be entirely honest, I was turned off early on by the tone and direction of Texas Devils (enough that I didn't get very far into it), though if I had continued on to the end it's entirely possible that my overall impression of its balance would have changed. Regardless, I will do my best to approach A Crooked River with an open mind. by M. Todd Cathey (Mercer UP, 2017). "Born 9 June 1838, James H. McNeilly grew up near Charlotte in Dickson County, Tennessee. At age thirteen, McNeilly was sworn in as deputy circuit court clerk of Dickson County. Raised in a devout Presbyterian home, he received his undergraduate degree from Jackson College in Columbia, Tennessee. Just as the Civil War broke out, he had earned his Doctor of Divinity from Danville Theological Seminary at Danville, Kentucky." 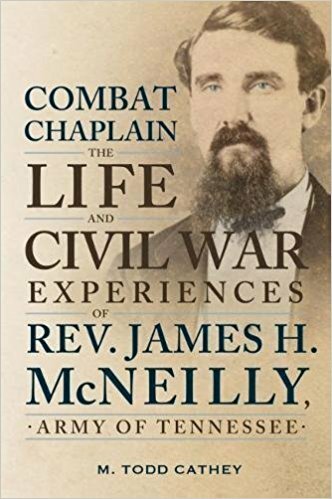 As McNeilly's biographer M. Todd Cathey shows in his latest book Combat Chaplain: The Life and Civil War Experiences of Rev. James H. McNeilly, the Tennessean traveled back to his home state in the summer of 1861 and enlisted in the Confederate army that fall. In September 1862 McNeilly was appointed regimental chaplain of the 49th Tennessee. The book describes his frontline experiences with the regiment from Port Hudson through the harrowing retreat from Nashville. After a furlough, McNeilly served out the rest of the war as post chaplain in Tuscaloosa, where he ultimately surrendered and was paroled. Active in veteran affairs after the war, McNeilly was also a prolific chronicler of his wartime experiences, authoring a great number of articles for Confederate Veteran magazine and the Nashville Banner newspaper. Lacking any surviving or known existing collection of McNeilly personal papers (at least I didn't see any in my quick skim through the bibliography), the published reminiscences were undoubtedly Cathey's chief resource for information written in his subject's own hand. More from the description: "This book shows the connections between personal faith, the everyday life of the chaplain, and his deep relationship with the men to whom he ministered on a daily basis as he shared privation, hardship, humor, and combat as one of them." Review of Ullrich & Craig - "GENERAL E.A. 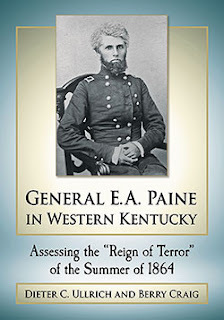 PAINE IN WESTERN KENTUCKY: Assessing the "Reign of Terror" of the Summer of 1864"
Being assigned to Border State district command was not an enviable position for any Union general officer of conscience. In addition to contending with constant threats from Confederate raids and elusive guerrillas, commanders also had to manage local civilian populations consisting mostly of conservative proslavery Unionists who didn't look favorably upon the social revolutionary implications of Republican war aims such as emancipation and black enlistment. Civilian-military relations would become even more volatile when officers politically aligned with the Radical Republications were appointed to these positions. General Eleazer Arthur Paine was certainly one of these men, his highly controversial historical legacy discussed at length in Dieter Ullrich and Berry Craig's General E.A. Paine in Western Kentucky: Assessing the "Reign of Terror" of the Summer of 1864. On one level, the book is a full military biography of Paine's Civil War service. As a field general, Paine put in creditable performances during the Island No. 10 and Corinth campaigns, but declining health relegated the rest of his career to largely administrative post and district commands in Confederate states and in Kentucky. He first gained a reputation as a bit of a hothead in Paducah in 1861, when he threatened civilians with death if they refused to shoe his horse or fly the U.S. flag over private property. In similar vein, he supported summary reprisals against regular prisoners for guerrilla murders. According to General Charles Ferguson Smith biographer Allen Mesch, Paine also schemed with Lew Wallace to get their superior, the well-respected Smith, dismissed from district command as an enemy sympathizer. While in charge of Tennessee military posts at Tullahoma and Gallatin, Paine encouraged his men to freely confiscate the property of suspected secessionists. How these draconian measures against Confederate civilians would play when Paine later returned to Kentucky, where the population quite reasonably expected to have their civil rights as U.S. citizens liberally upheld, would be another story, one that would rebound to his dismay. The primary aim of Ullrich and Craig's study is to document and analyze the most controversial stretch of Paine's Civil War service, the summer of 1864 when he was in charge of the District of Western Kentucky with headquarters at Paducah, and set the record straight. Assailed by critics for instituting a "reign of terror" against the citizenry, Paine would be removed from command and court-martialed, the proceedings of the latter constituting much of the book's content and focus. In detailed fashion, Ullrich and Craig document the trial along with Paine's spirited defense of his actions. The general would be accused of a very long list of offenses, including directing harsh words toward the state's civilian leadership, publicly denouncing a superior officer (Major General Henry W. Halleck), instituting abusive trade restrictions, allowing private citizens to use government transport, closing businesses, levying illegal "taxes" and "fees," forcibly banishing U.S. citizens to Canada, seizing property unlawfully, interfering with the banking system without cause, imposing exorbitant financial assessments on an arbitrary basis, summarily executing prisoners without any legal procedure or review, taking hostages, forcing civilians to dig fortifications (or pay heavy fines if unable to work), and unnecessarily appropriating and damaging town buildings (i.e. the Mayfield courthouse). Many of these charges were specifically addressed in Paine's court-martial, where he put up a competent self-defense that successfully branded (at least in the eyes of the presiding officers) all of his accusers as disloyal, thus invalidating their testimony. Ultimately, Paine would be judged not guilty on all the charges and specifications save one, his public cursing of General Halleck (something many other Union generals would undoubtedly have liked to do but possessed the requisite self-restraint that Paine himself lacked). The authors feel this result fully exonerates Paine, and should finally put to rest an ongoing smear campaign more than a century and a half in duration. On the other hand, as Paine's contemporary critics were quick to point out and the authors concede, the trial pointedly failed to address two of the most serious complaints against the general, his summary executions of suspected guerrillas and his heavy-handed financial assessments. With the district under martial law during the period of time under consideration, Ullrich and Craig accept without question Paine's blanket justifications for these actions, that summary executions were necessary to maintain order and that only the 'worst' Confederate sympathizers were subjected to assessment. When it came to levying assessments, Paine did help his own case by pointing to Lincoln administration policy (though Lincoln himself did frequently withdraw support for assessments on a case by case basis, due to the fact that their very nature made abuse and corruption a strong temptation). Before getting so eagerly attached to exoneration, some pause for reflection on the part of the authors might have been in order regarding the rather dubious record of many Civil War court-martial proceedings, which were hardly consistent paragons of exhaustive investigation and disinterested justice. The issue of loyalty itself, how it was defined and by whom, is also worthy of deeper discussion than the book allows. In their vigorous, and on many points largely convincing, defense of General Paine, the authors do pass up a good opportunity to contribute to the wider debates and discussions in the Civil War literature regarding loyalty and civil rights in wartime. As many political leaders and fellow Union military officers would do, especially from the conflict's midpoint onward, Paine adopted a decidedly Manichean outlook when it came to assessing loyalty, branding as disloyal all who might oppose (or even question) any of the Lincoln administration war aims and policies. Under such a black and white rendered definition of loyalty, even moderate Missouri and Kentucky Unionists could (and often did) find themselves denounced as traitors or Rebels. In attacking their enemies, many partisan Civil War observers with far more literary skill than desire for objectivity proved extremely adept at employing over-the-top rhetoric and making it stick in the historical record. While troubling aspects of General Paine's tenure in Paducah remain, Ullrich and Craig clearly demonstrate that in West Kentucky Paine presided over nothing like the most infamous great terrors of world history (ex. those of Revolutionary France, Bolshevik Russia, Pol Pot's Cambodia, etc.). Certainly in that aspect, Paine's much-maligned place in Kentucky and Civil War history deserves significant popular revision, and this book can quite usefully aid in that process. I know that I've become a bit of a broken record when it comes to continued neglect of the 1862 Peninsula Campaign and the Seven Days battles. Atlanta and Petersburg were once in the same boat, but both campaigns have really taken off of late and continue to leave the Peninsula far back in their wake. There has been some good recent work on the intersection between medicine and war (the swampy nature of much of the Peninsula makes it a good laboratory for that kind of study) along with emancipation on the Peninsula before it became general policy, but none of the Seven Days battles have received full-length standalone treatment yet (though Brian Burton's history of the entire week of fighting remains a satisfactory overview), and we could use another Seven Pines book along with an updated account of the entire campaign (Sears's To the Gates of Richmond is over 25 years old). Major studies of Gaines' Mill from R.E.L. Krick and Malvern Hill from Frank O'Reilly have been long rumored, but no concrete news has emerged in a long time. What news has popped up recently is of A Bloody Day at Gaines' Mill: The Battlefield Debut of the Army of Northern Virginia, June 27, 1862 (McFarland, Sept 2018) from Virginia attorney Elmer R. Woodard, III. There's not much information available so far. This appears to be Woodard's first book, or at least my casual online search didn't uncover anything else. The publisher's description is pretty coy. The sub-200 page count doesn't necessarily mean the monograph will lack detail as McFarland typically packs a lot of text into their 7x10 page format. I'm looking forward to seeing it. edited by Lana Wirt Myers (UP of Kansas, 2018). Being a newly-arrived immigrant from Britain who plunged headlong into the Kansas troubles must have been quite a jarring introduction to America for Reuben Smith. 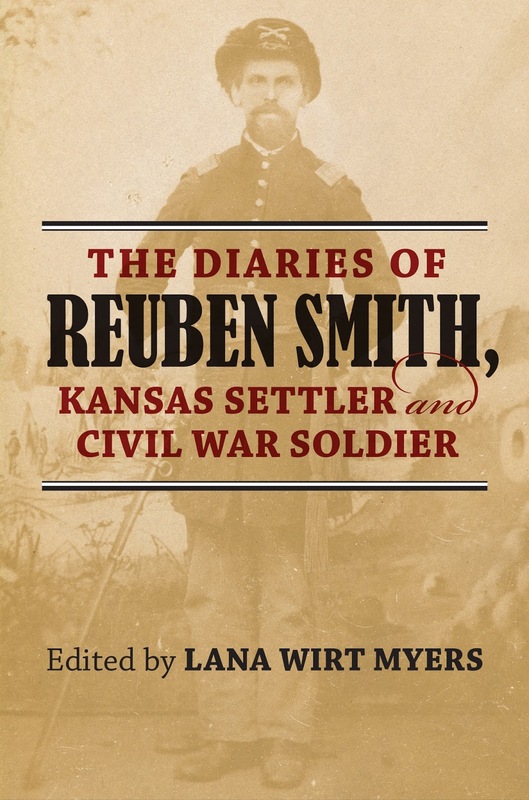 His written accounts of this experience and much more have been edited by Lana Wirt Myers under the title The Diaries of Reuben Smith, Kansas Settler and Civil War Soldier. Aligning himself with the Free State faction, "(t)he young Englishman wrote down what he witnessed in a diary where he had already begun documenting his days in a clear and candid fashion. As beautifully written as they are keenly observant, these diaries afford an unusual view of America in its most tumultuous times, of Kansas in its critical historical moments, and of one man's life in the middle of it all for fifty years." More from the description: "From his moving account of traveling from England by ship to his reflections on settling in the newly opened Kansas Territory to his observations of war and politics, Smith provides a picture that is at once panoramic and highly personal. 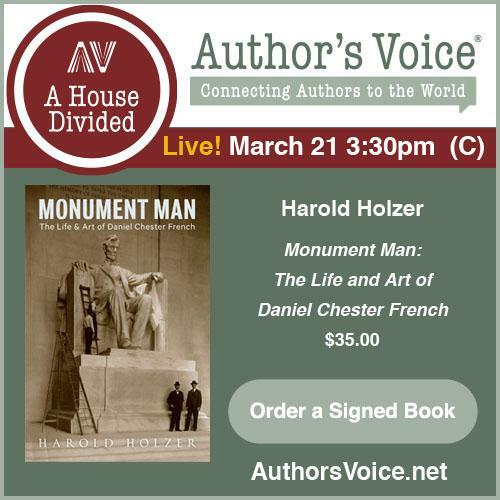 His diaries depict the escalation of the Civil War along the Kansas-Missouri border as well as the evolution of a volunteer soldier from an inexperienced private to a seasoned officer and government spy. They take us inside military camps and generals’ quarters, to the front lines of battle and in pursuit of bushwhackers William Quantrill and Cole Younger. Later, they show us Smith as a state representative and steward of the Kansas State Insane Asylum in its early years. In historic scenes and poignant personal stories, these diaries offer a unique perspective on life in the Midwest in the last half of the nineteenth century." Apparently, Smith's diary writing spanned decades so the volume comprises a selection of entries, the great majority covering the Bleeding Kansas and Civil War years. My quick flip through the book didn't reveal which unit(s) he joined so that will have to await closer reading. The battles of Lone Jack and Westport get their own chapters, and it appears that Smith wrote quite extensively about his military experiences, which should greatly interest students of the Trans-Mississippi theater. The book is organized into twenty chapters plus a general introduction. The diary material is lightly annotated (averaging less than a handful of endnotes per chapter), but Myers provides chapter introductions as well as additional editorial commentary within. Only a short time has passed since the publication of The Personal Memoirs of Ulysses S. Grant: The Complete Annotated Edition (October 2017), which was edited by Grant Library executive director John F. Marszalek along with David Nolen and Louie Gallo. The recent completion of the massive The Papers of Ulysses S. Grant project made it an opportune time for releasing the first fully annotated edition of Memoirs. Not having my own copy yet, I still don't have a good sense of the depth and range of critical effort that went into the footnotes. The T.J. Stiles review in the New York Times didn't even go into it. Under the space constraints imposed by CWT's review format, the always astute Ethan Rafuse merely remarks (link) that we "will appreciate and be impressed by the extensive amount of information and commentary the editors provide in the footnotes on the various figures and events mentioned..." The longer CWBR review by Larry Grant has a bit more to say on the matter, noting that Marszalek et al. "provide a biographic note to nearly every individual mentioned by Grant, and also identify many geographic locations more completely. They also correct dates and casualty figures and similar items where that is necessary." I was hoping there would be a lot more to it than that (and maybe there is), primarily in the area of in-depth critical analysis of Grant's highly influential war narrative and his own opinions and recollections of people and events. Now comes news that another annotated edition will come out soon. Scheduled for release this coming November from Liveright, Elizabeth D. Samet's The Annotated Memoirs of Ulysses S. Grant certainly seems to promise something different. From the description, it sounds like Samet, a professor of English at West Point, will apply more of a literary and cultural emphasis to her editing of the Memoirs. "One hundred and thirty-three years after its 1885 publication by Mark Twain, Elizabeth Samet has annotated this lavish edition of Grant’s landmark memoir, and expands the Civil War backdrop against which this monumental American life is typically read. No previous edition combines such a sweep of historical and cultural contexts with the literary authority that Samet, an English professor obsessed with Grant for decades, brings to the table. 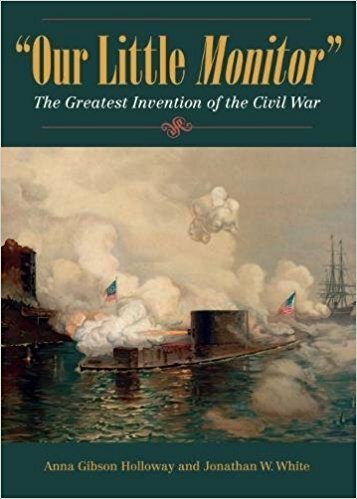 Whether exploring novels Grant read at West Point or presenting majestic images culled from archives, Samet curates a richly annotated, highly collectible edition that will fascinate Civil War buffs. The edition also breaks new ground in its attack on the “Lost Cause” revisionism that still distorts our national conversation about the legacy of the Civil War." 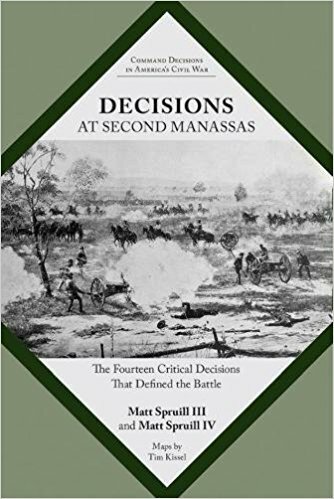 • Decisions at Second Manassas: The Fourteen Critical Decisions That Defined the Battle by Matt Spruill III & Matt Spruill IV (Univ of Tenn Pr, 2018). Released very soon after Decisions at Stones River, Decisions at Second Manassas: The Fourteen Critical Decisions That Defined the Battle is the second volume from UT Press's Command Decisions in America's Civil War series. At least early on, the various Spruills are the primary contributors, but the work of other authors is already in the pipeline. From the description: "Decisions at Second Manassas introduces readers to critical decisions made by Confederate and Union commanders. Matt Spruill III and Matt Spruill IV examines the decisions that shaped the way the campaign and battle unfolded. Rather than offering a history of the Battle of Second Manassas, the Spruills focus on the critical decisions, those decisions that had a major impact on both Federal and Confederate forces in shaping the progression of the battle as we know it today. This account is designed to present the reader with a coherent and manageable blueprint of the battle’s development. Exploring and studying the critical decisions allows the reader to progress from an understand of “what happened” to “why events happened” as they did." I very briefly discussed the general format already in the Stones River Booknotes entry (see link above). It doesn't look like the publisher has a dedicated series page up yet on their website, but page 11 of their Spring/Summer '18 catalog features the series. Mentioned in current development is Decisions at Chattanooga from Larry Peterson. Not shown is David Powell's Decisions at Chickamauga. 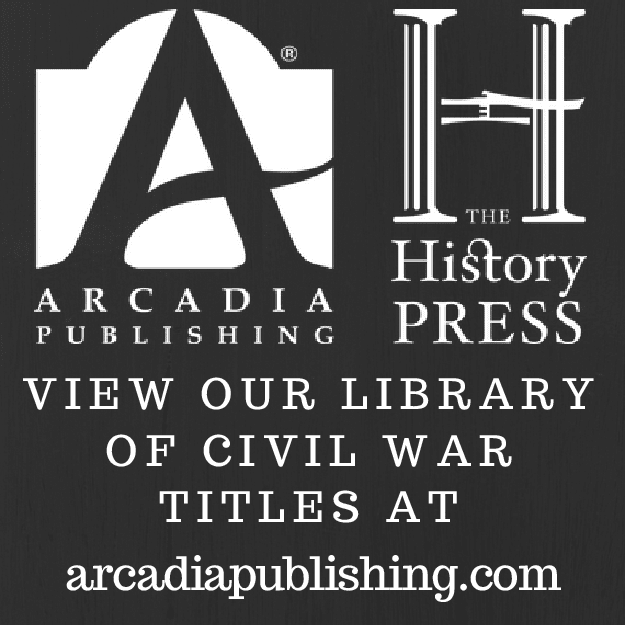 Other planned volumes cover Perryville, Tullahoma, Shiloh and "other notable battles both in the Eastern and Western theaters of the Civil War." 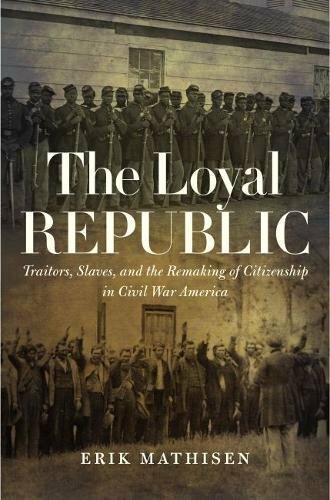 • The Loyal Republic: Traitors, Slaves, and the Remaking of Citizenship in Civil War America by Erik Mathisen (UNC Press, 2018). US citizenship was a nebulous concept during most of the nineteenth century—particularly for African Americans, American Indians, and recent immigrants—and in the expanding West large numbers of Hispanos (and Chinese immigrants later in the century) also had to be considered. The Civil War and Reconstruction years raised new questions but also created new opportunities for numerous groups. In recent years, the war's significant role in transforming the meaning of citizenship has been an expanding line of inquiry, and among the latest contributions is Erik Mathisen's The Loyal Republic: Traitors, Slaves, and the Remaking of Citizenship in Civil War America. The Loyal Republic "is the story of how Americans attempted to define what it meant to be a citizen of the United States, at a moment of fracture in the republic's history. As Erik Mathisen demonstrates, prior to the Civil War, American national citizenship amounted to little more than a vague bundle of rights. But during the conflict, citizenship was transformed. Ideas about loyalty emerged as a key to citizenship, and this change presented opportunities and profound challenges aplenty. Confederate citizens would be forced to explain away their act of treason, while African Americans would use their wartime loyalty to the Union as leverage to secure the status of citizens during Reconstruction." Mathisen's region-based study "sheds new light on the Civil War, American emancipation, and a process in which Americans came to a new relationship with the modern state. Using the Mississippi Valley as his primary focus and charting a history that traverses both sides of the battlefield, Mathisen offers a striking new history of the Civil War and its aftermath, one that ushered in nothing less than a revolution in the meaning of citizenship in the United States."